It's only Tuesday, but this week has already brought us plenty of Sand Castle news out of Jordan. Producer Justin Nappi has shared a couple of updates from the set, including a picture of director Fernando Coimbra hard at work. We know Henry is still in London, thanks to a sighting at a private screening of 'Spectre' over the weekend. And just today a fan saw Henry and actor Andrew Scott, who plays C in the film..
Just queued up in Boots Piccadilly behind Andrew Scott and Henry Cavill. They didn't seem starstruck by me, like... At all. As we wait for Henry to join the Sand Castle production in Jordan, his costars have been posting pictures from the set, and they look like a fun group! Deadline shared a bit more on the character Flanagan will be playing. This picture was just posted by Nappi..
With production set to wrap January 2, we'll continue updating you on everything from Jordan. Henry should be getting there soon! 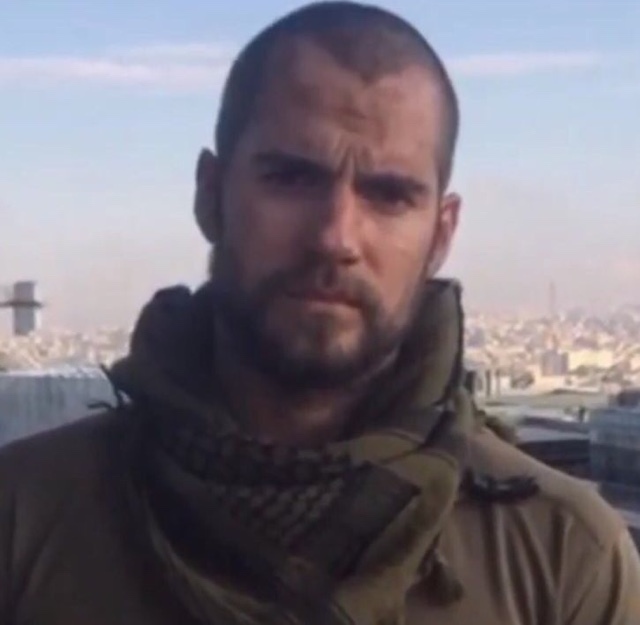 When is Henry leaving to film the movie? That will likely come from him. Hopefully he'll post an update on social media.